This past Saturday, fourth-year Billy Whitmore competed in the NCAA DIII National Championship in Terre Haute, IN. 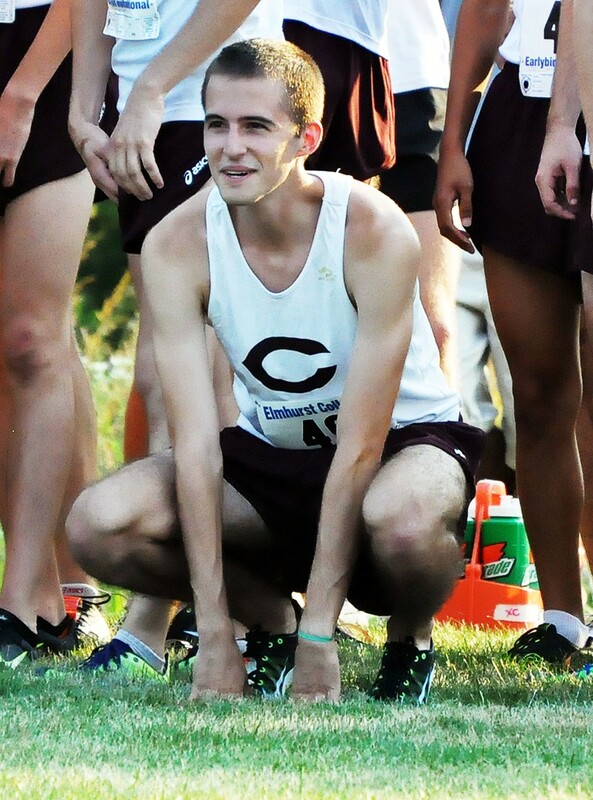 After a full year of training, Whitmore’s 11th–place finish in the race capped not only the season for the Maroons, but his own four-year career. Whitmore ran as the sole representative of the men’s cross country team and finished the 8k race with a time of 24:47.6. “I’m ecstatic for Billy. He really put everything behind him and performed well. I don’t think he could have run much better than he did,” head coach Chris Hall said. The NCAA named Whitmore an All-American for the second consecutive year due to his high finish. The NCAA bestows All-American status to the top 35 individual finishers in the race. Tim Nelson of UW–Stout won the race (24:26.8). Whitmore’s pace of 3:06 per kilometer trailed Nelson’s by a little more than two seconds. Due to the length of the race, the time difference piled up and eventually proved insurmountable. Whitmore joins Tom Haxton (2001 and 2002) and Mike Axinn (1980 and 1981) as the third Maroon to repeat as an All-American. His seventh-place finish in last year’s race ranks as the third best in Chicago history. In the overall team race, for which the Maroons did not qualify, North Central repeated as the National Champions. The Maroons missed out on qualification due to a sixth-place finish in the Midwest Regional. Only the top five teams qualify. The weakest team to qualify out of the Midwest region, UW–Eau Claire, finished as the 10th-best team in the nation. Of the five UAA teams to qualify, Wash U placed highest in fifth, followed by Carnegie Melon (17th), Rochester (21st), NYU (22nd), and Case Western Reserve (30th). In the UAA Championship, the Maroons placed fourth directly behind Carnegie Melon but ahead of 6th place Rochester. The South Siders finished the regular season ranked 19th in the nation. Out of the Maroons’ top seven, they will bid farewell to three runners, fourth-years Gregor Siegmund, Isaac Dalke, and, of course, Billy Whitmore. However, the remaining four members of the group will come back for the 2013 season. First-year sensation and UAA Rookie of the Year Henry Blood leads the way, followed by second-year Renat Zalov and third years Sam Butler and Griffin Brunk. Despite losing some great runners to graduation, expect the Maroons to come back next year ready to compete.